Improv comedy clubs offers the best Texas drivers safety course available online with a twist of humor. We are approved by the State of Texas as a driver safety course aka defensive driving. Texas traffic violators or court ordered individuals can complete to fulfill requirements, Driver training can help reduce accidents and improve safety on the road. Defensive Driving by Improv has worked to put together an affordable program, at cheapest rate allowed by Texas law, that you can complete at home or on the go. This award winning program makes completing the training fun and easy. Once you receive an order to take a Texas safety driving course or a defensive driving course, you will have a set amount of time to meet your requirement. We offer a fast option that allows you to complete the Texas safety driving course in just one sitting. Our school is designed to be funny and engaging. Once finished we will provide you with a certification of completion for your drivers safety course. Texas courts require proof that you have completed the driving safety course. If you have a teen, or if you are getting ready to get your learner's permit, the individual receiving the permit will need to complete a Texas drivers safety course. 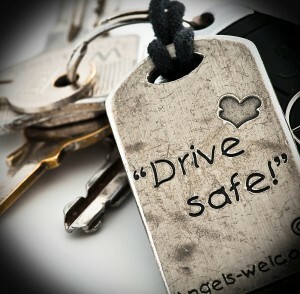 These courses help prepare new drivers for the road by outlining the basic rules of safe driving and the driving laws. We are proud to offer the Texas driver safety course online as a convenient and easy option. Some parents prefer their student takes the Texas drivers safety course online since they will not need to drive them to school to complete the class. It is important to take the driving safety course. Texas online classes from Improv are easy to complete from home or on the go with the mobile app. Defensive driving is one of the best ways to stay safe. Our defensive driving course is designed to help you stay safe on the road. If you are worried about your teenager driving, you may want to sign him or her up for a driver safety course. Texas law does require a teen to complete a set number of hours in a driver's education class, and then an additional amount of time driving. It is important that each teenaged driver is prepared to drive by completing their drivers safety course. Texas has strict requirements for all teenaged drivers, including limits on the provisional license. MyImprov.com offers many benefits to students. In addition to offering the Texas driving safety course online, we work to make the class funny and easy to follow. The class is designed so that you can complete it in one sitting or you can spread it out over a few days or weeks. There is a test that goes along with the course. Once finished, we offer proof that you have completed the Texas driver safety course online in as little as thirty minutes after you complete the test. In addition, we offer four free Improv tickets with every course that you purchase. After you pass, you can celebrate with a night out with friends. Whether you need to complete a Texas safety driving course for insurance requirements, to get your license, or because of a court order, we can help you complete the requirements quickly and easily. We offer a money back guarantee on our online driver safety course. Texas courts list us as one of the approved online schools for your traffic requirements. We make it easy and fun to complete a Texas drivers safety course online. There is no need to stress about taking a driving safety course. Texas online options make it easy to complete the requirements. Turn to MyImprov.com first when you need to complete a Texas driving safety course online. Our lessons are designed by professionals to help improve your driving safety. The multiple choice quiz at the end of the course is easy to complete. We are the best online driver safety course. Texas drivers don't need to be bored or stressed about taking required courses. We have worked hard to design this award winning defensive driving program that gives you the flexibility you need to complete the course on your time. Once you register you have thirty days to complete the class, with the option to extend if needed. Sign up for a class today!